The gorgeous actress of marathi film industry "Priya Bapat" and "Sai Tamhankar" are first time coming together for 'Sachin Kundalkar' next "Vazandar". 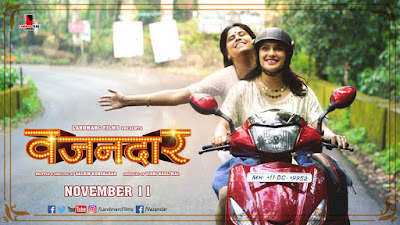 Vazandar is quirky story of two friends which is played by "Priya Bapat" and "Sai Tamhankar", to meet the demand of the role these two actrees has worked hard to change their appearance, not once but twice, that's the dedication both of them has shown towards there respective role. Other than these actress film stars Siddharth Chandekar, Chirag Patil and Chetan Chitnis in major roles. Film is begin produced by "Vidhi Kasliwal" under the banner of 'Landmarc Films'.